We're sorry; this specific copy is no longer available. Here are our closest matches for Varangian by Stuart G. Yates. In the middle part of the Eleventh century, the Byzantine Empire dominated the world. The surviving part of the old Roman Empire, its position as the greatest know civilisation remained undisputed. 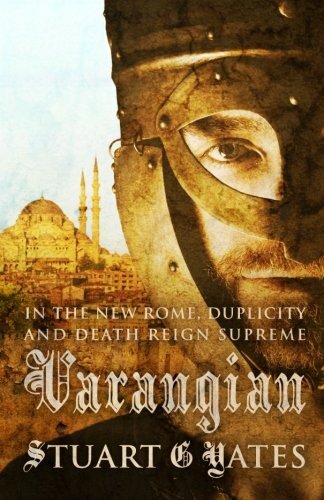 Within the walls of its great capital city, Constantinople, treachery, debauchery and power politics dominated the lives of the rulling elite, as it had in the glory days of Rome. Thrust inside this heady mix, the Viking adventurer Harald Hardrada struggles to survive. A new emperor, the deranged Michael V, means danger for him as he becomes a pawn in the jostling for power of the various factions. Can he survive, and in so doing, turn his mind to the regaining what is rightfully his - the throne of Norway?